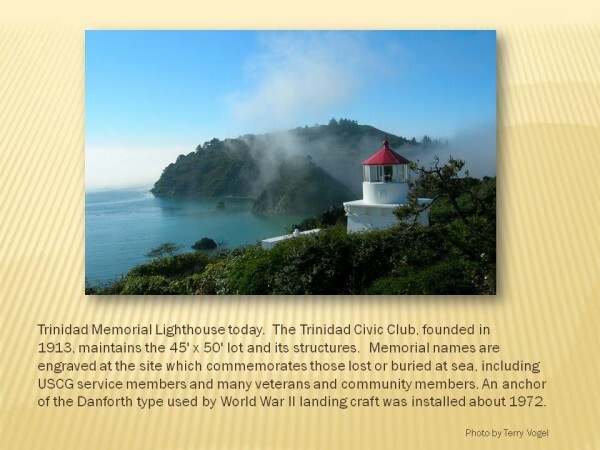 The City of Trinidad was established in 1850 after Josiah Gregg and his party of eight “rediscovered” Trinidad Bay and Humboldt Bay in December 1849. 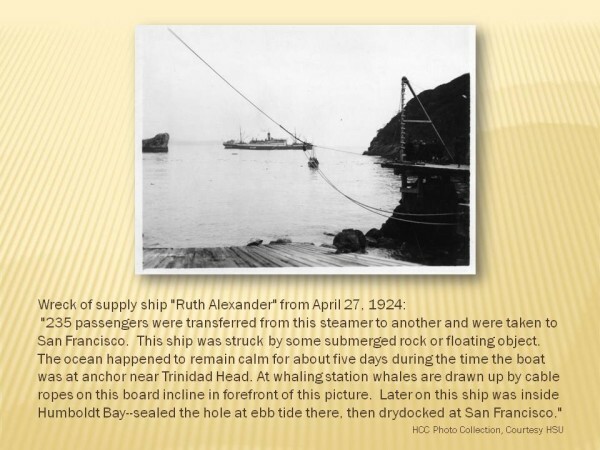 The resulting gold rush caused Trinidad to be settled as a supply station for Trinity River mines when it was made clear that the Trinity River drained into the Klamath River, not into Trinidad Bay as was earlier believed. 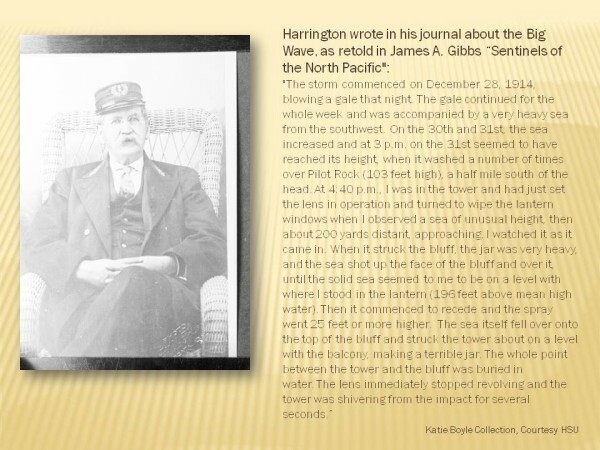 Between 1850 and 1865 at least 25 ships sank and at least 274 lives were lost off California’s north coast. 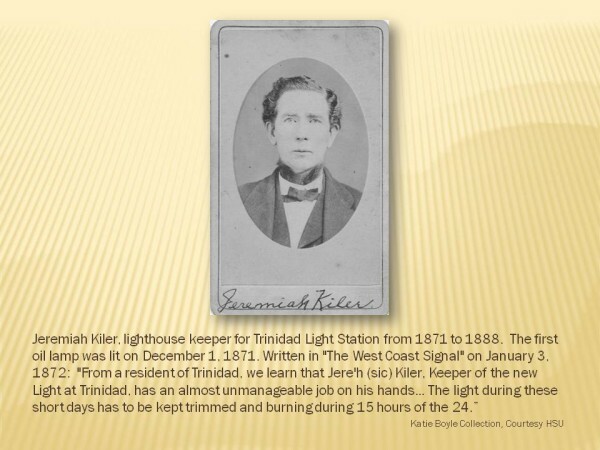 The steamer “Brother Jonathan” was wrecked on St. George’s Reef eight miles off Crescent City on July 30, 1865. 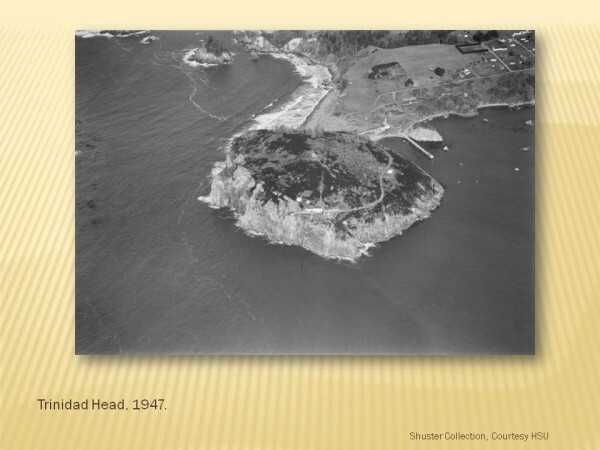 The tragedy took the lives of at least 166 people, including an Army general and a territorial governor. 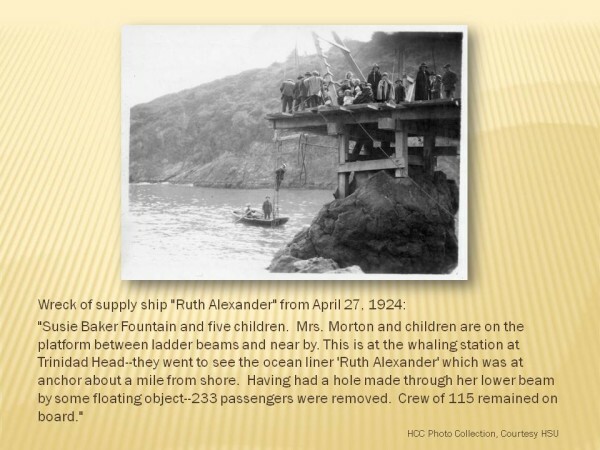 There were only 19 survivors. 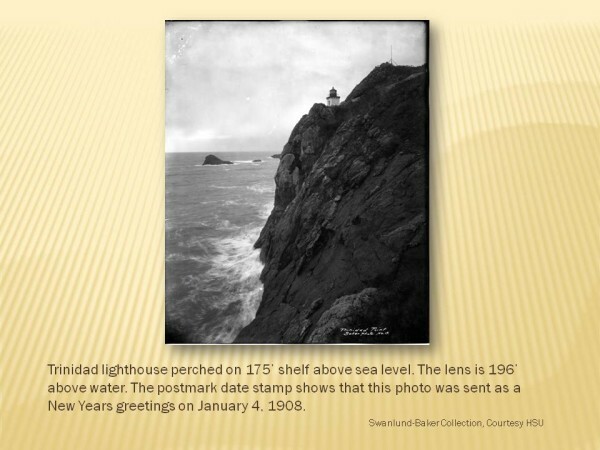 To aid vessels engaged in commerce, including the lumber trade, a lighthouse was proposed for the ocean-facing side of Trinidad Head. 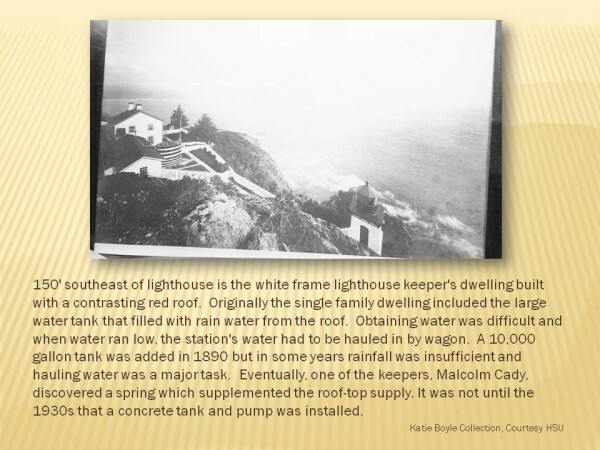 In 1866, all of Trinidad Head, 42 acres, was acquired by the Lighthouse Administration and funding was requested from Congress to build a lighthouse. 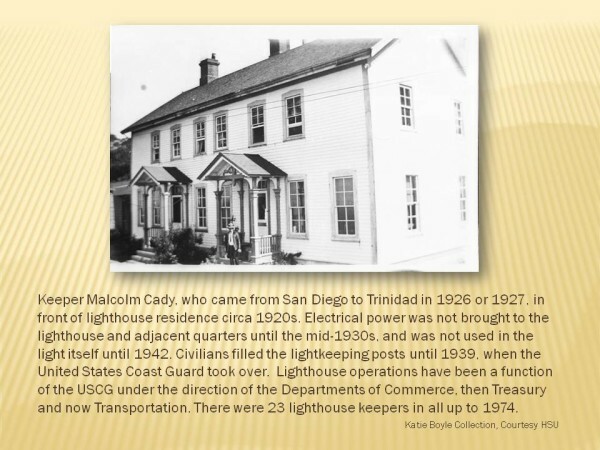 In 1871, Congress approved $20,000 to build a lighthouse and on December 1st the first oil lamp was lit. 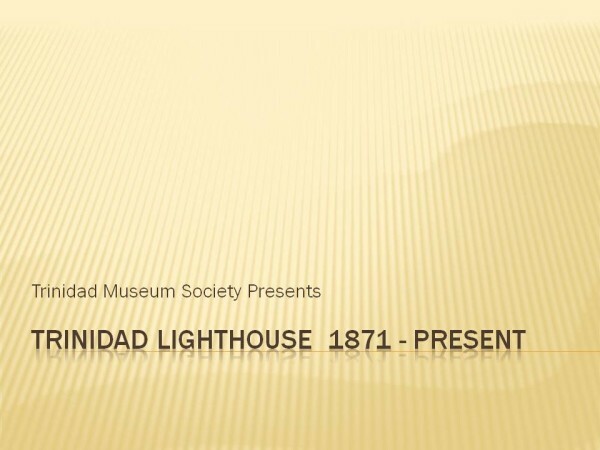 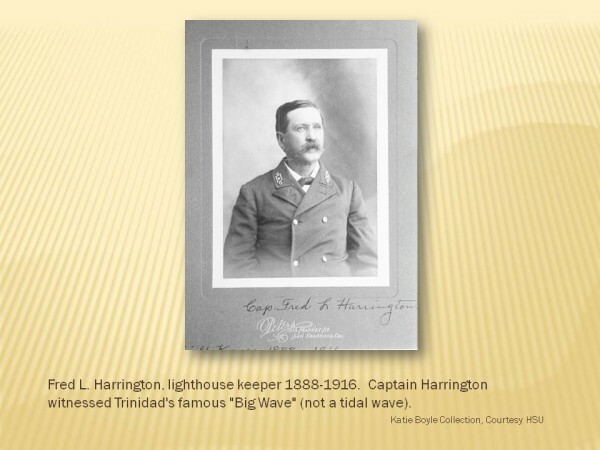 The Trinidad Lighthouse 1871-Present photography exhibit opens in November and will remain on view for one year. 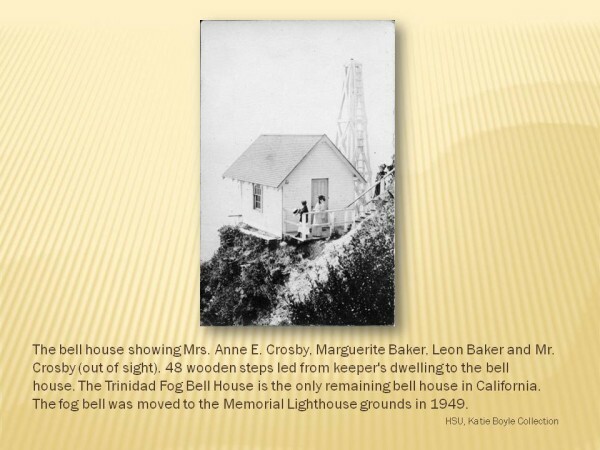 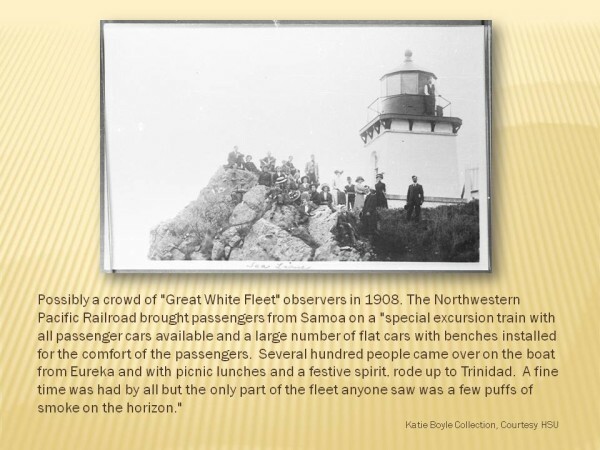 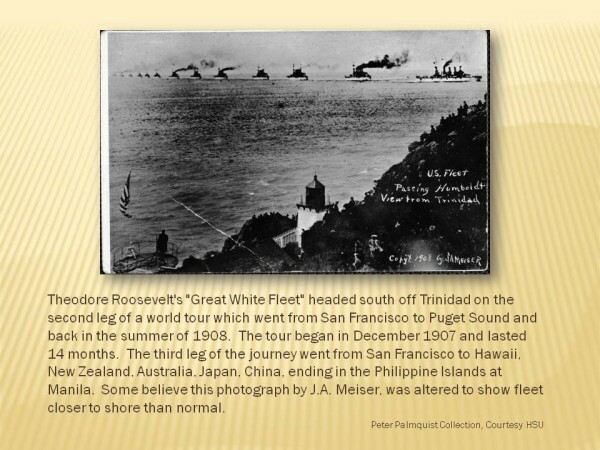 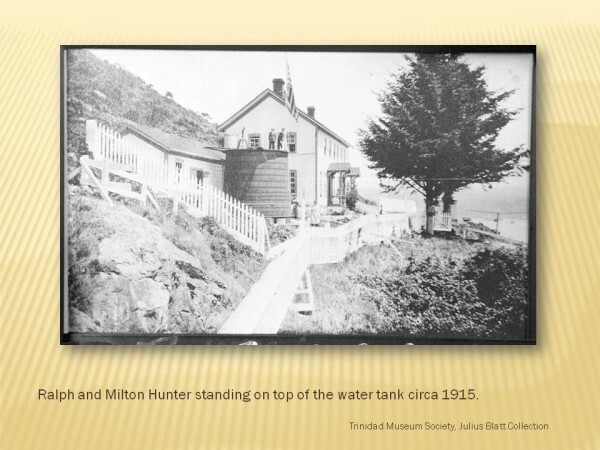 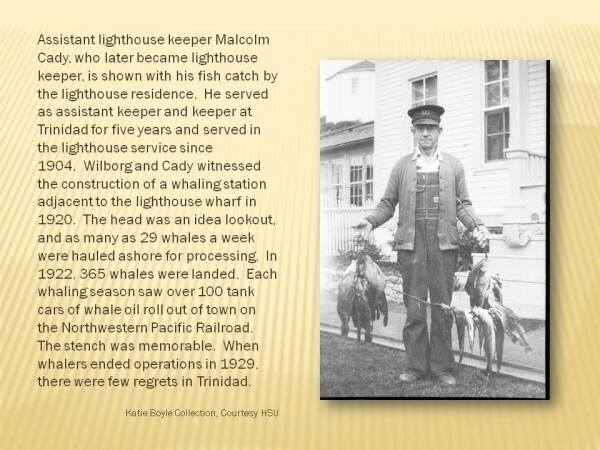 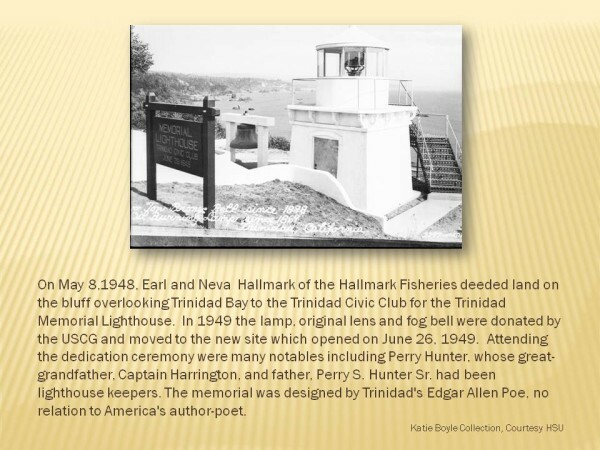 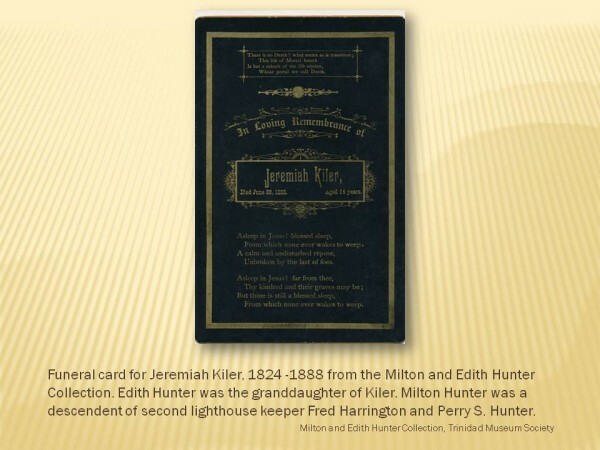 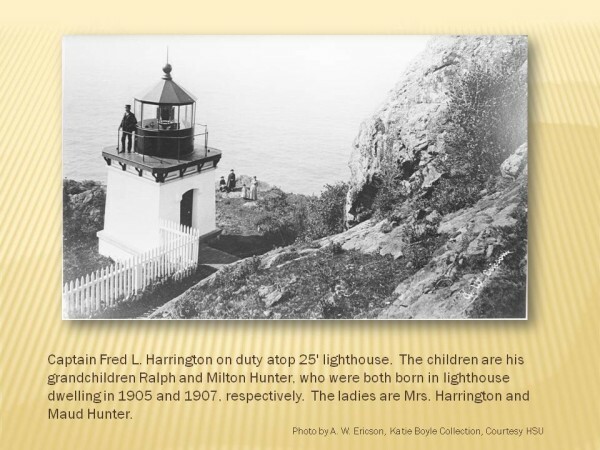 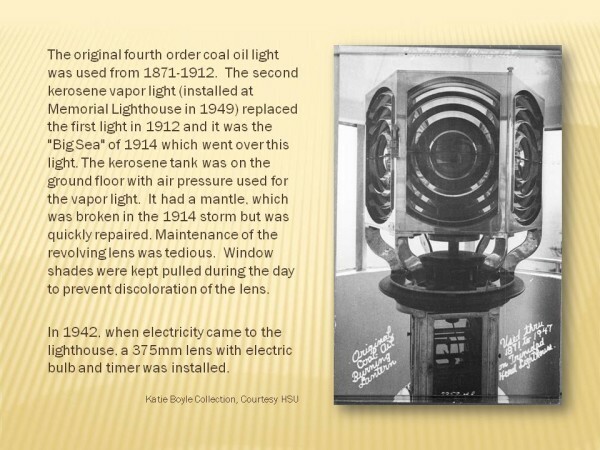 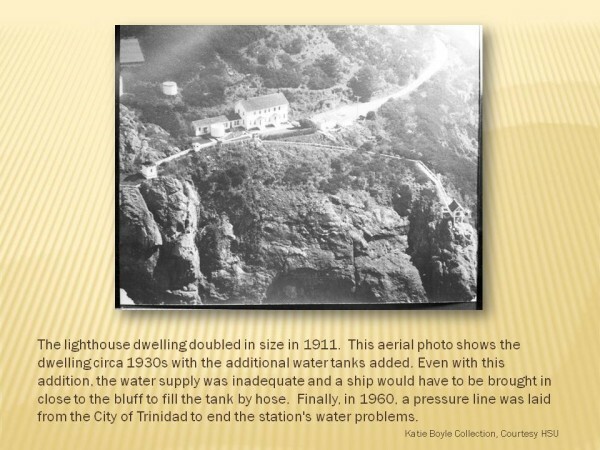 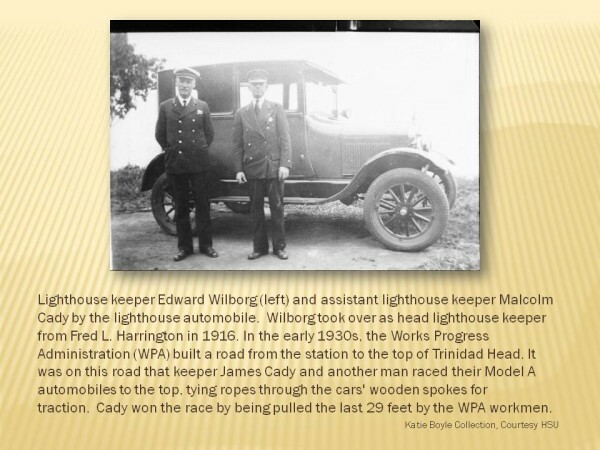 The exhibit details the history of the lighthouse on Trinidad Head and features photographs from the collections of Humboldt State Uiversity, Humboldt County Historical Society, Trinidad Museum Society, and the U.S. 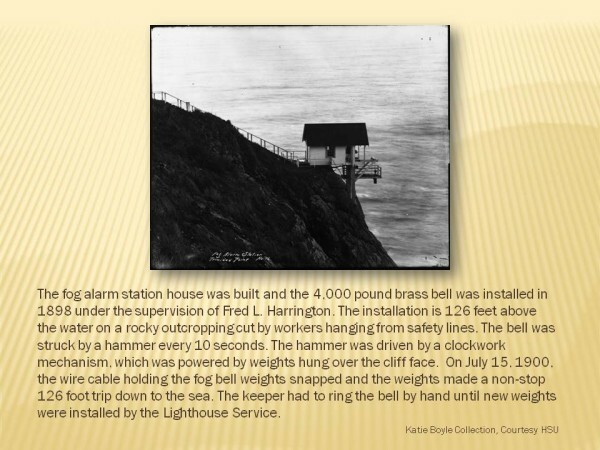 Cost Guard. 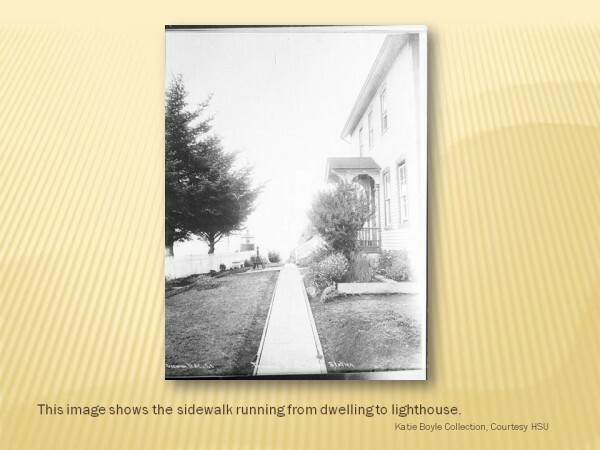 Curators for the exhibit are Tom Sharp, Katie LaSala, Scott Baker and Patti Fleschner.